Hello Darlin's today is Themed Furniture Makeover Day and we are showing you our best outdoor projects. Just in time for record breaking heat in out area. It is so hot outside I think I was sweating spray paint while working on this much needed paint-lift. On the positive side the paint dried quickly. 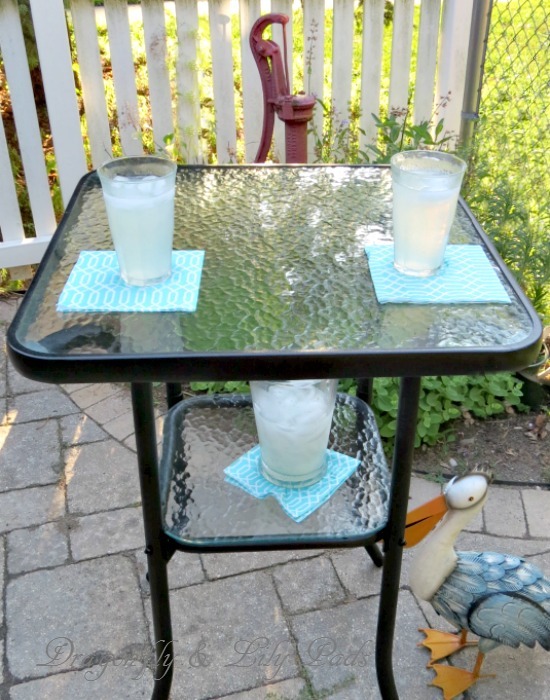 This trash treasure found a few years ago has served us well for a great party drink station. Now it is past time to give this hard working gal a look deserving of her service to our family. 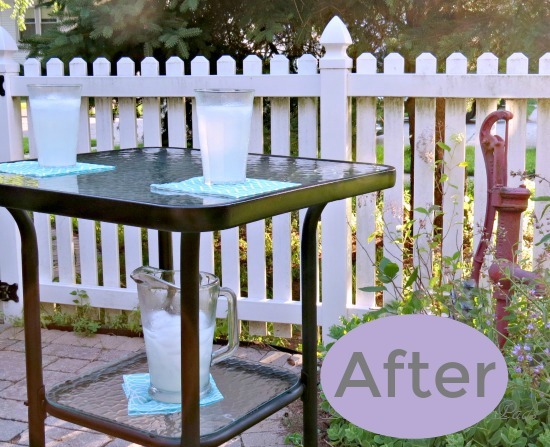 We were not having a party at our home I call the "White Picket Fence,"for obvious reasons. I was extremely thirsty as the air conditioner hums in the background as I type. 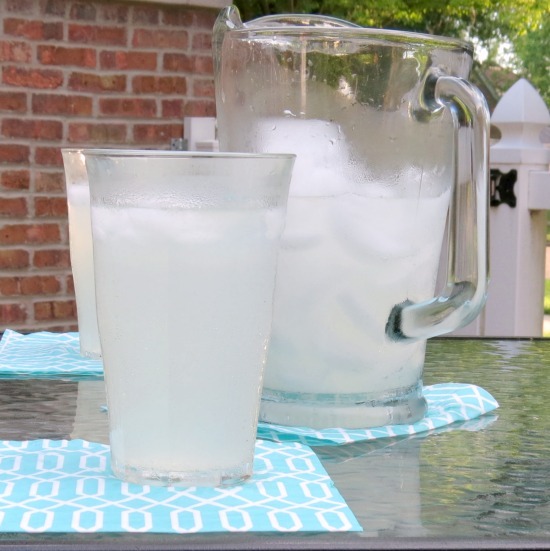 I made a refreshing pitcher of half lemonade and Half flavored sparkling water to stage the table. 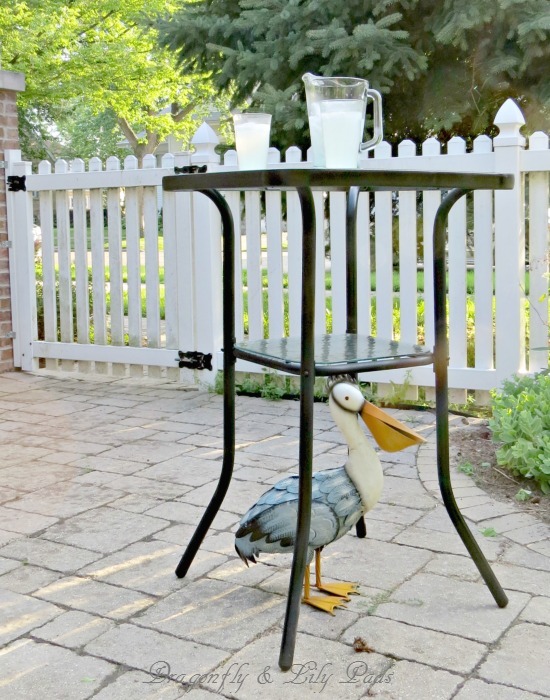 This pelican helped me fill in space while adding a touch of color from +Pier 1 Imports. 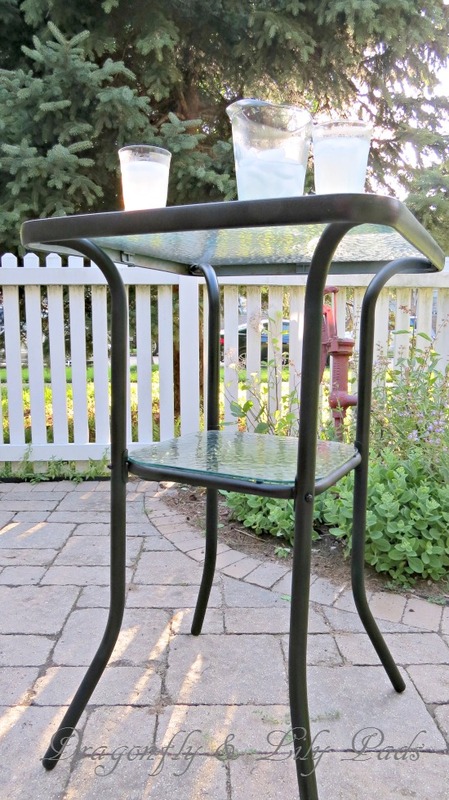 I chose to paint the table black with two finishes. The first coat is flat black and the second was gloss. It turned out to have low and high blends of black finish giving it a nice depth in sheen with the layers. Doesn't this lemonade look delicious? 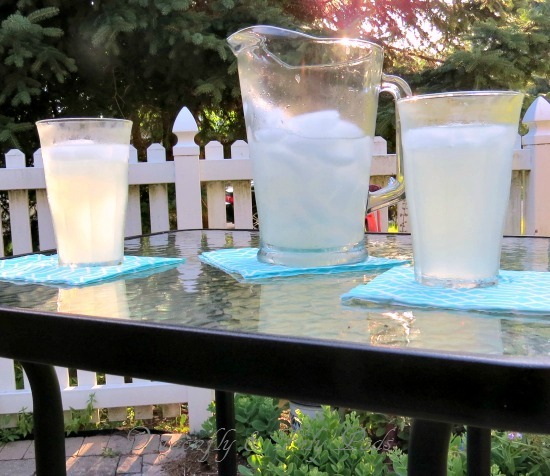 Who is coming by for some lemonade this week? The second shelf is nice for a container filled with ice and juice boxes. The top for large partied I use Ice tub with our name engraved on the front. 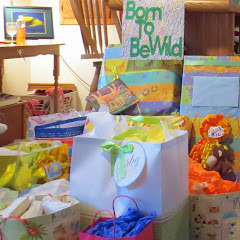 For large party's we place that on the top keeping out of the reach and children. While managed to painted the table from green to black, I also stepped on the painted newspaper making it stick to my feet while the over spray attempted to give me a black pedicure. The biggest dilemma was how to remove it fast because I had an event that evening. There was so much scrubbing in the shower to get cleaned up. 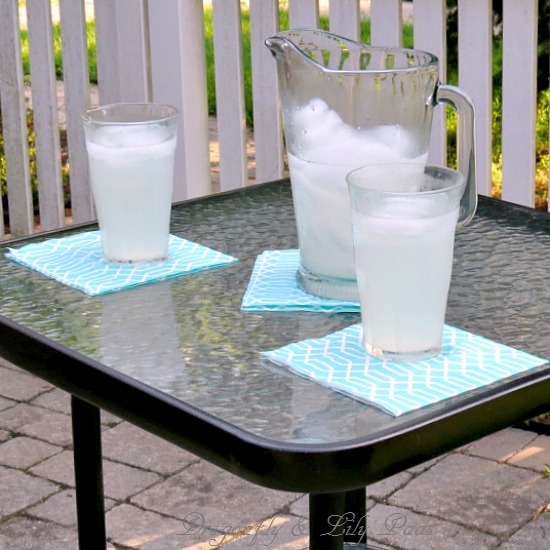 Come on by for a sip of lemonade with flavored sparking water. I'll have it ice cold for you. A great before and after picture gets me every time. 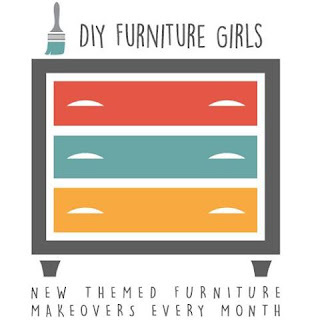 I hope you enjoyed today DIY Theme Furniture Girls for the month with the theme of outdoors. 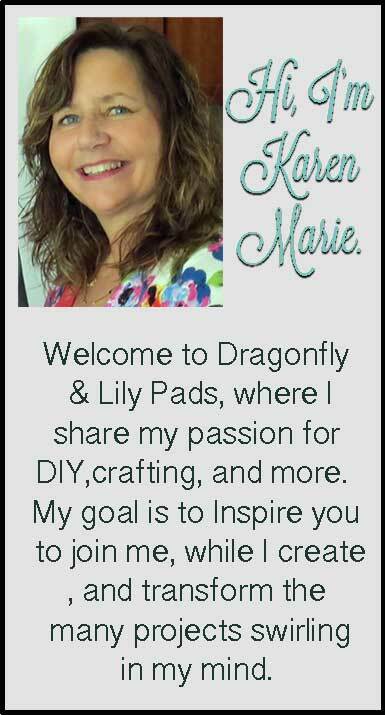 Please be sure to visit the other talented bloggers and follow all our social media. I truly appreciate you spending your time with me today. 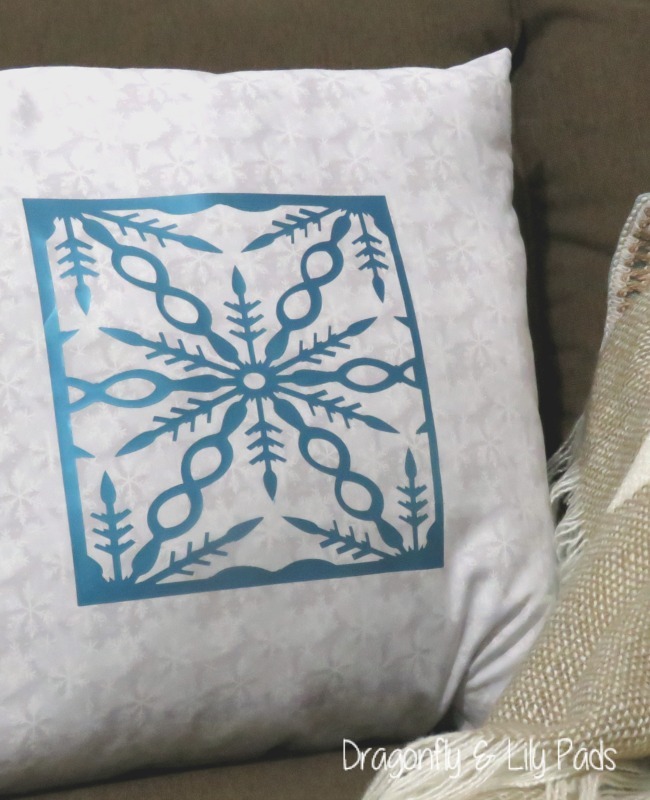 Isn't it amazing what paint can do for a piece of furniture? This is now ready to be used for many more family parties. Hahahaha...I am laughing about the pedicure...Cricket is lucky she didn't get a pedicure too LOL! I love the table! It looks so much better now! hahahhaha, I am laughing about the pedicure. Cricket is lucky not to have gotten a pedicure as well! It turned out great and looks awesome black! 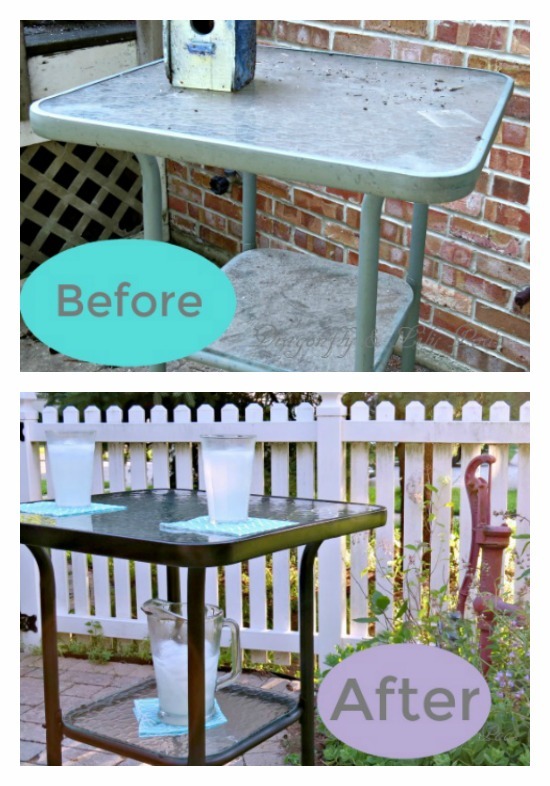 Gotta love spray paint for an instant refresh to these metal and glass patio tables. Much better now! WOW! What a transformation! Great makeover! So nice to refresh an outdoor piece and have to turn out looking like new!! Good job and also, laughing bout the pedi!! Now the little table is all glammed and ready for its new life. Cute pelican. 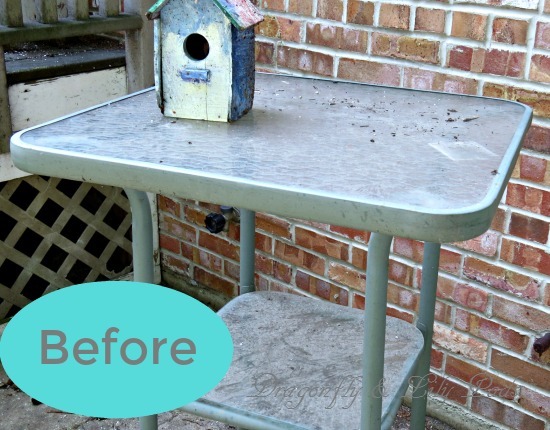 What a perfect way to refresh an old patio table and give it new life again! 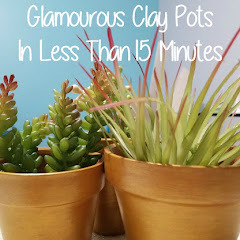 Karen, this is really a great upcycle! I loved the old color too but it definitely sharpened the look with the darker trim.